We are so excited for our brand new TV special airing this Sunday, May 7th on Freeform! This 90 minute special will highlight several new products and experiences that we are rolling out with the show. From custom engagements to new venues, floral and cake options, there is something for everyone. Here are some amazing things to look for as you watch! 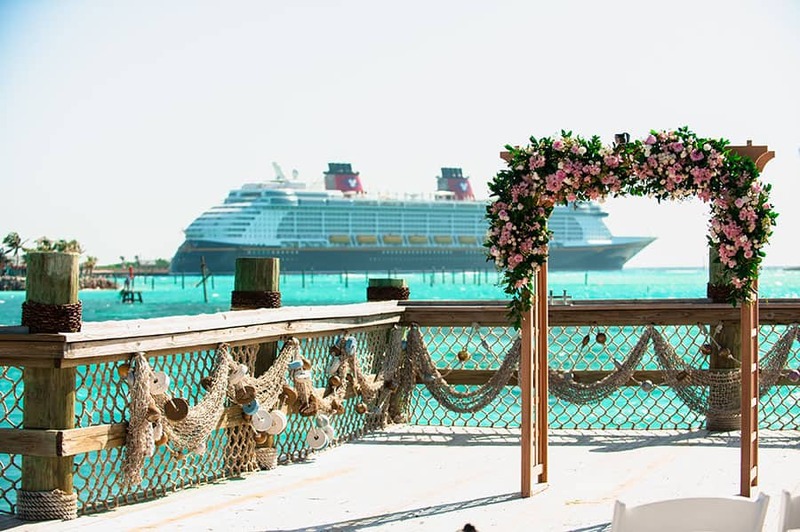 Carolina and Isaiah from the show exchanged their vows right over the water at The Wedding Pointe - a new venue option available on Disney's private island in The Bahamas, Castaway Cay. With a stunning view of the ship in the background and breathtaking ocean surroundings, it is an ideal place to say "I Do." It is the ultimate destination wedding venue, and this island makes for a perfect honeymoon spot once the celebration is over. The decor options and new bridal bouquets seen at Carolina and Isaiah's ceremony, including that beautiful arch and aisle decor, will be available as upgrades starting this July.Talk to your Cruise Wedding Planner for more details! Greg proposed to Melanie in spectacular fashion, surrounded by all the animals of the savanna. 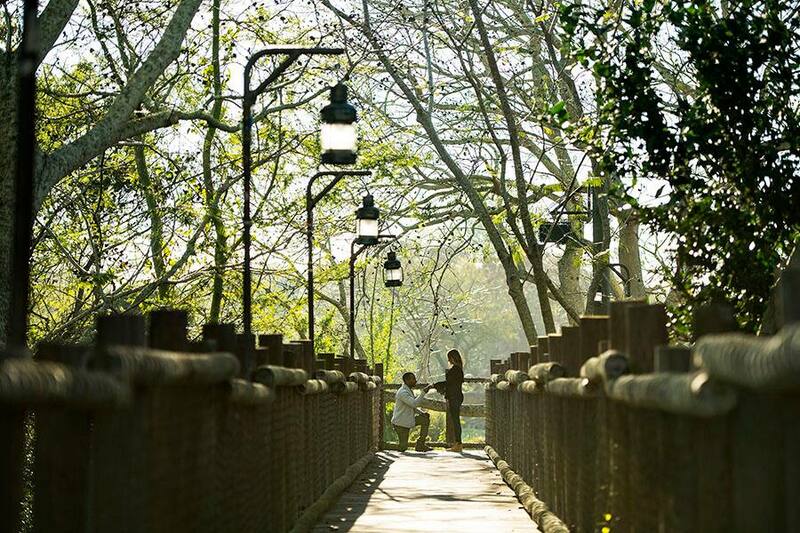 Following a private safari ride at Disney's Animal Kingdom, he dropped to one knee on the Boma Platform in the center of the Kilimanjaro Safari attraction. It was a moment neither of them will ever forget! This amazing experience is just one of the many options for a custom proposal at Walt Disney World. We have a team of dedicated Disney Engagement Planners who will help you craft the ultimate, custom proposal to make your big moment everything you hoped for and more. They will help create entirely unique and exclusive experiences, for more information call (321) 939-4610! If you are searching for more magical options, we also offer "Enchanting Extras", which can help elevate your proposal to the next level. This team will help you find reservations at signature Walt Disney World restaurants, book exciting tours, or secure a surprise gift to be delivered to your resort room. Call (407) WDW-PLAY or (407) 939-7529 to find our more. 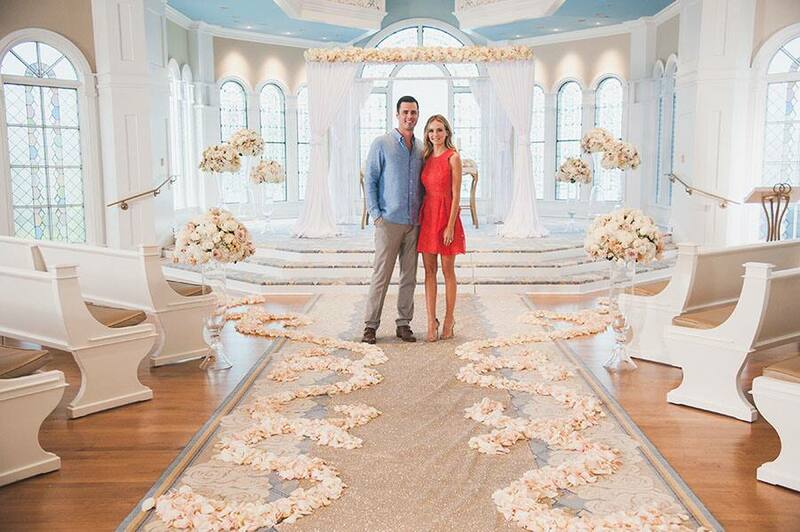 The newly re-imagined Disney's Wedding Pavilion is on display during the show when our hosts, Ben Higgins and Lauren Bushnell, visit. We are unveiling a couple of new decor looks that will be available at this iconic location. The one in the show is a vision with its elegant petal scrolls, acrylic arch and abundant floral throughout, plus an awe-inspiring glitter runner. Ask your Disney Wedding Planner for more information and how to customize the looks to your very own style and vision. Finally, remember to tune in this Sunday, May 7th at 8/7c on Freeform to see all this and more. Watch for the secret code to appear and you could even win the Ultimate Fairy Tale Honeymoon with a stay in the Cinderella Castle Suite!